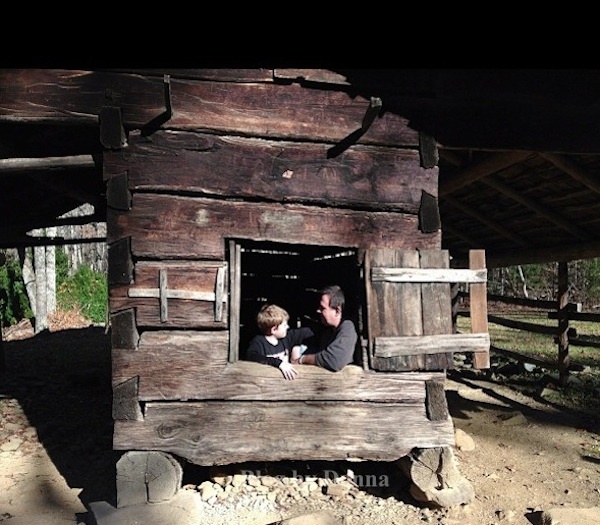 One of my family’s all-time favorite things to do is to go hiking and exploring the Great Smoky Mountains. Hiking anywhere, really, but we live near the beautiful Smoky Mountains and try to take advantage of them every chance we get. Hiking is a great family bonding time… not to mention great exercise. It’s also good for the mind and spirit being outdoors, breathing fresh air, and exploring nature. So we do it every chance we get… and I think we’ve made some great family memories for our son. The photo above is so near and dear to me. It’s my screensaver on my laptop and iPad. We went for a hike on the Greenbrier Trail where there is an old one-room school room and a couple miles hike past it is the Walker Sister’s old home place. We’ve done this hike several times. It’s such a fun hike and we always see something new each time. Another way we make family memories is to gather at the “kitchen table”. Or in our case, the kitchen counter. I love the special moments we share with our son when we share a meal together. Even if it’s just a bowl of cereal or a sandwich… it’s a great time to relax and share with each other how our day is going. If that’s the worst thing about his day, well… shew. I can live with that. 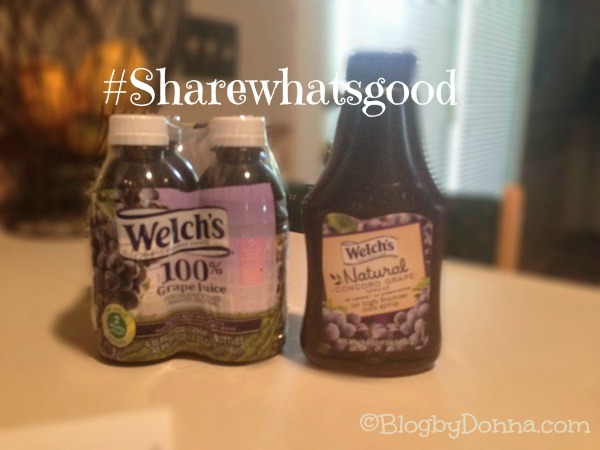 Welch’s has just launched a new movement called “Share what’s good™” It’s all about sharing those special moments that occur each day with family, friends and loved ones – whether it’s at home or on the go. 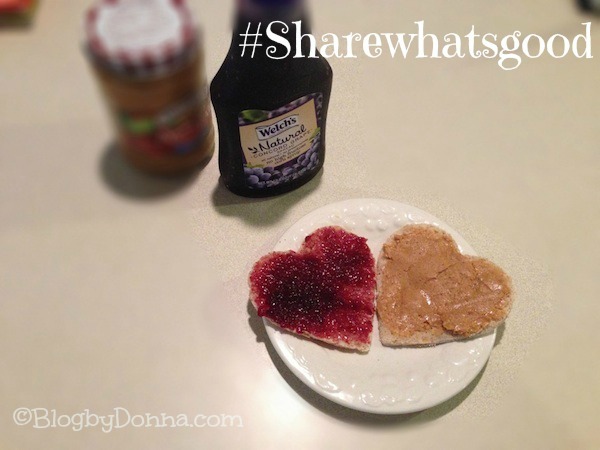 At Sharewhatsgood.com you’ll find a variety of great content from fun family ideas to delicious recipes. You can share photos of your every-day moments and see how others are doing the same. Just use the hashtag #Sharewhatsgood on Twitter or Instagram and it will show up in the feed. Keep in touch by bookmarking the site – there will always be something fun to learn from Welch’s, or other people in the community. How do you make family memories and ‘Share what’s good’? You can “like” Welch’s on Facebook, follow @Welch’s on Twitter, and follow @Welch’s on Instagram. 1 lucky Blog by Donna reader will receive a $50 photo gift card towards a popular Online Photo Service where you can share your own moment through Photo Books, Cards & Stationery, Prints, Calendars, Photo Gifts and more! Giveaway open to U.S. residents 18+. Ends 9/7. Enter on the Rafflecopter form below. Good Luck! 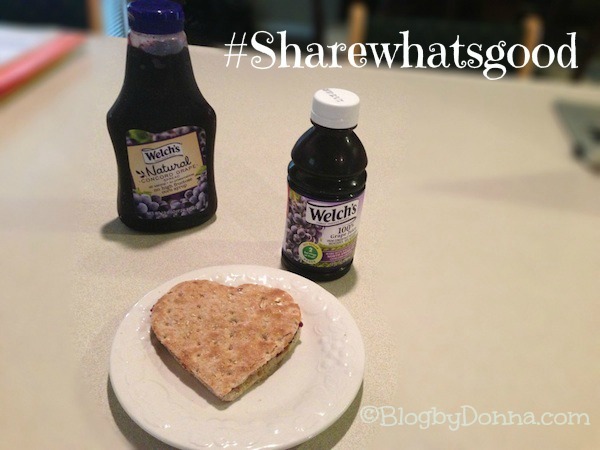 I love Welch’s grape jelly ( has to be Welch’s or I won’t touch it…I embrace my snobby side! ;))!! That’s a great review and a great idea from Welches. It looked like your family created lots of great memories with these trips to hike and to the beach! Strawberry jam is always good. 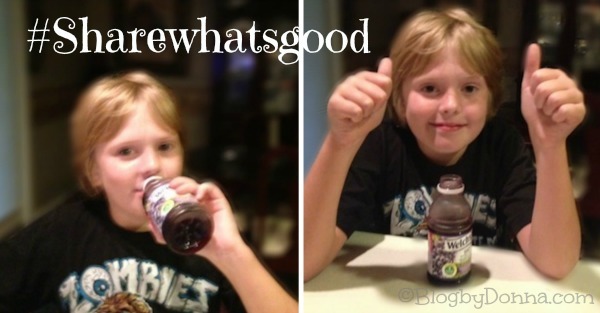 I love Welch’s grape jelly but my kids prefer Strawberry jam! Mine would have to be strawberry. I love their jam. If I have to chose one I chose yummy grape. i really enjoy grape jelly!!!! I like grape Jam and I love their grape juice. My kids like grape but I like strawberry. We are huge fans of Welch’s!